Reprint. Based on the novel by Anthony Horowitz. Originally published: 2012. 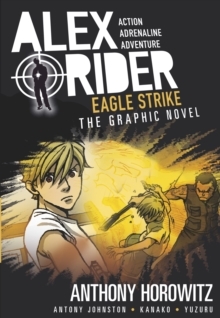 A bold and stylish reissue of the groundbreaking and hugely popular graphic adaptation of Alex Rider's fourth mission. Relaxing in the south of France, reluctant MI6 agent Alex Rider is finally able to feel like any ordinary fourteen-year-old - until a sudden, ruthless attack on his hosts plunges him back into a world of violence and mystery. And this time, MI6 don't want to know. Alex is determined to track down his friends' attackers, even if he must do it alone. But it's a path that leads to a long-buried secret - and a discovery more terrible than anything he could have imagined. Alex Rider has 90 minutes to save the world.